Dr. Tony K. Yoon is originally from San Francisco, California. He received his bachelors degree (B.S. Biochemistry) from the University of California at San Diego and his dental degree (D.D.S.) from the University of Southern California in Los Angeles, California. 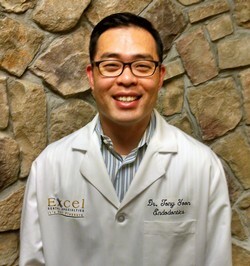 Dr. Yoon then served eight total years as a general dentist in the US Army where he also completed a 1 year Advanced Education in General Dentistry Residency (AEGD) in that time. After his honorable discharge from active duty, Dr. Yoon went on to complete his endodontic residency at Tufts University in Boston, Massachusetts. Dr. Yoon is a member of the American Association of Endodontists, American Dental Association and Maryland State Dental Association. When not at the office, Dr. Yoon, enjoys spending time with his family: his wife Alexis and two children 8 year old Jianna and 6 year old Noah. He is an avid follower of all major sports, loves the sun and any outdoor activities, and is willing to try various foods or dine "the next best restaurant." Dr. Loken M. Patel grew up in Central New York, where he received his bachelor's degree (B.S.) in molecular biology from Colgate University. He then completed his Doctorate of Dental Medicine (D.M.D) from the University of Pennsylvania. Dr. Patel pursued an additional year in post graduate training with the US Army in their Advanced Education in General Dentistry (AEGD) program. As an Army Captain, he was stationed in Fort Carson, Colorado; Yongsan, South Korea; and Ft. Myer, Virginia. Dr. Patel was honorably discharged from the US Army in the rank of Major. Dr. Patel completed his post doctorate in Endodontics at Rutgers University. 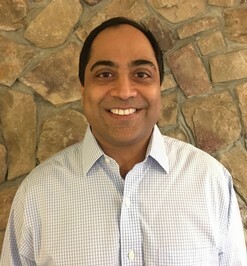 Dr. Patel is a member of the American Association of Endodontists, American Dental Association, Virginia Dental Assocation and the Northern Virginian Dental Society. 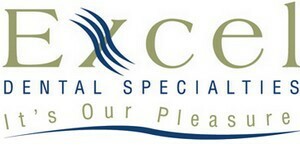 He is a Diplomate of the American Board of Endodontics and has been in practice for over 13 years. He loves spending time with his wife and daughter when not at the office.